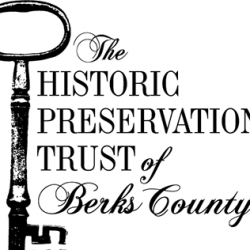 Join the Historic Preservation Trust of Berks County (HPTBC) for a fun-filled day of music, history, and food at their second annual Keim Music Fest at the Jacob Keim Farmstead in Oley, Pennsylvania. This event is a one-day music event held outdoors to raise awareness and restoration funds for the Keim Farmstead, a property owned by the HPTBC. The Music Fest will consist of two music stages including a kid’s stage. On the Main Stage, there will be Rick Sky, Mike Holliday, Practical Saints, Rhythm Road, and Be. Makin’ Music Gilbertsville, Dave Fry, Valley Music Together, Earth Rhythms, and Magician Matty Whipple will join us on the Family Stage. Additional activities include Mike Holliday’s Acoustic Jammin’ Circle, Clay on Main Kids Crafts, and Daisy the Clown. There will be an Earth Rhythms Drum Circle from 12-2pm and a Musician’s Acoustic Jam from 2:30-5:30pm. The Keim Farmstead will be open for tours and visitors can enjoy a rare look inside this beautiful, historic home boasting excellent examples of eighteenth century German-influenced architecture. Built in 1753, the home is a two and a half story limestone structure with several walk-in fireplaces, large chimneys, and segmented arches over the exterior openings. In January, the Jacob Keim Homestead became Berks County’s third National Historic Landmark. Admission is a $10 per person suggested donation. Trust members and children under 10 are free. Food, drink, and baked goods will be available for purchase. Bring you instruments, lawn chairs, and blankets! Also feel free to bring a non-perishable food item for the Oley Valley Food Pantry. Additional information can be found at www.keimfest.com. The Jacob Keim Farmstead is located at 101 Boyer Road, Oley, PA 19547.